Two developments from Washington pose a challenge to the liberal economic order, of which free trade is the most emblematic tenet. One is the Trump administration’s threat to move from multilateral trade agreements, such as NAFTA, to bilateral trade agreements. The administration has been clear that it wants to negotiate separately with Canada and with Mexico. Reinforcing this general pattern is an implicit attack on the World Trade Organization (WTO) itself. The introduction of import tariffs of 35% on any firm that outsourced jobs abroad would be a clear violation of WTO agreements, as would a unilateral tariff on imports from Mexico or China. A second development is the increasing popularity of the so-called “destination tax” in Republican circles. This is a cash flow tax. This tax would favour American-produced products over foreign ones. The reason is as follows. Any input a company imports would have to pay a tax rate of, say, 20%. Any output a company exported would not pay this tax. If one lives in a country with a value-added tax (VAT), this would sound somewhat familiar — one does not pay VAT on what one exports because a company generally receives a VAT refund on what it exports. A difference between the two taxes is that both imports and domestically-produced items pay the same VAT. This new destination tax would charge a 20% rate on the imports as total value added. Domestic firms, however, would start with total value but be able to deduct the wage bill. In terms of effects on trade, this means that imports to the US would face a disadvantage while US exporters, who would not pay tax on what they export, would benefit. How much they benefit would depend on other factors. There are probable currency implications, for example, with some assuming that the dollar would appreciate and perhaps even cancel out the benefits to exporters from the advantages of the new tax. Moreover, such a tax could contravene WTO rules. However, a recent paper by Gary Clyde Hufbauer and Zhiyao Lu of the Peterson institute suggests that there may be ways to make the tax WTO-compatible. This would include changing the tax rate to 15% but introducing a credit for social security and Medicare taxes, which amount to 15%. As the PIIE piece correctly notes, this assumes that the Trump administration would consider the WTO as a true constraint, which is unlikely: then-candidate Trump already threatened to withdraw the US from the international body in July 2016. So, is it politically realistic that the US federal government will adopt this tax? There is not yet a clear decision. But House Republicans have been pushing it for some months. If they decide to go forward, the Republicans do control both houses of Congress and the Presidency. Moreover, Trump has so far been consistent in moving ahead with proposed policies that he promised in the campaign. While Trump did not run on the tax itself, he did pledge to increase trade barriers, and his Press Secretary, Sean Spicer, seemed to support it as a way to pay for the wall with Mexico last week. This indeed points to a bigger issue facing Republicans. Keeping their promises of big tax cuts, no cuts in entitlement (or social transfer) spending, and a big increase in the size of the US military will bust the budget. The Congressional Budget Office already projected in a January 2017 update an increase in the US national debt of about $1 trillion a year over the next ten years if there are no changes in policy. This tax could potentially generate a lot of revenue, enough even to fill the income gaps. Moreover, if it replaced the corporate income tax as it exists today but at a lower tax rate, Republicans would try to pass it off as a tax cut. So let’s say the US adopts a border adjustment tax. What should be the European response? One option would be to do nothing. One could hope that a big appreciation of the US dollar would cancel out the trade effects of the double whammy of an implied subsidy for US exporters and a new tax for European firms who are US importers. This seems very risky. Many factors affect the exchange rate and the literature is far from clear whether the exchange rate would actually behave as some theory papers suggest it would. A response worth considering may be to introduce the border adjustment tax in the EU. It could be set at the same rate as the USA tax. This would not completely level the playing field. And it would affect trade patterns, as inputs into production from abroad would be treated differently from domestic labour. 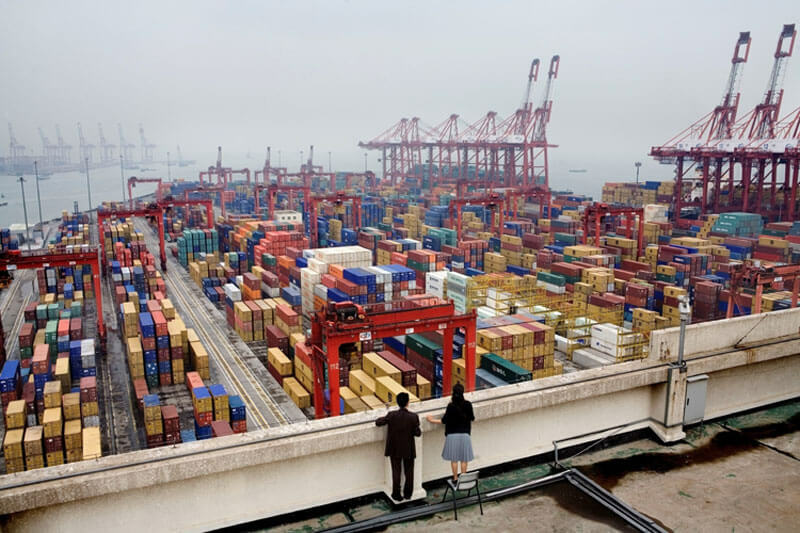 But it would diminish the discrepancy in how importers and exporters would be treated in bilateral trade, as the labour cost would be exempt from the tax on the export. This would directly cancel out the effects on European exporters to the US. It could still hurt trade with others, but one could negotiate who is “domestic” for the purposes of the tax. One could add a clause in the negotiations with Canada on CETA, for example, that made Canadian goods and services “domestic” for the purposes of the tax. One potential barrier to this action could be the WTO. The European Union probably cares more than the Trump administration about preserving this international body. If the deduction for pension payments in the US would be accepted at the WTO, one would need to think about some sort of fix to do the same thing in Europe, where pension contributions also vary. This could make it too difficult politically to introduce. However, it is also possible that Trump will leave the WTO if he decides he wants the tax and there is no way around the body, or that he finds another “quick fix” which other countries could emulate. Trump’s tax move is foreseeable only if the WTO is not a real constraint on Trump. There is another benefit to the border adjustment tax wherever it is introduced, namely on the revenue side. It is far too easy for corporations to avoid the current corporate income tax. They can shift profits easily abroad and undermine domestic tax bases with all sorts of exemptions. A reason for this is that the current corporate tax system is based on the residence of the firm. There are incentives for firms to relocate their headquarters abroad and to shift profits. A tax simply based on domestic value-added would end such tax avoidance schemes. As a January 2017 US Treasury report notes, “‘A destination-based tax, in which the tax is applied based on the location of consumption or purchases, eliminates the incentives to shift profits or income-producing activities to avoid the tax.’’ Even with a lower marginal rate this tax should boost the revenues that governments collect not only in the US but potentially in Europe. More broadly, it could even help economies if it increased the efficiency of the distribution of capital overall by ending the many loopholes businesses now use because of the design of current corporate taxes. In the longer term, the hope would be that the world would move towards this type of cash flow tax. In effect, all countries would become “domestic.” Such a system would then eliminate the clear discrimination against imports if everyone used the same tax. In the short- to medium-term, such harmonisation across the world won’t happen. In the meantime, there may be political benefits to the EU itself from adopting this tax – even beyond those mentioned above: namely a more level playing field with the Americans and increased revenues. Under such a tax regime, there would be significant added value to being a member of the Single Market. Brexit negotiations should obviously not be a reason to adopt a new tax, and it is doubtful it would be introduced in the European Union during Brexit negotiations in any case. But we should note the implication. If the UK wanted to leave without a deal, it would be treated under the tax like any other country outside the Single Market, and any imports from the UK would be charged at whatever rate is agreed (say 20%). A move to this tax now, in fact, would strengthen the hand of the EU’s Brexit negotiators. It is up for debate whether it makes sense for the EU to directly respond to a unilateral move by President Trump introducing a border adjustment tax. In any case, its introduction on the European side would be a non-trivial matter. The tax would basically have to replace the existing corporate taxes, which vary across member states. To avoid worries about European bureaucrats running it, national tax administrations would be responsible (much like with VAT). But preparing this option, also as a credible threat of retaliation, would enhance the strength of the European Union and show that it means business on trade. This political effect should not be underestimated. It would indeed be an irony if Trump’s attempts to divide and conquer led to a more united Europe. One way to do this would be to use the very tax tool Trump might be about to introduce in the United States. This commentary originally appeared on the Bruegel blog on 1 February 2017.